The United States of America is taking a former Suzuki Motor America employee and analyst to court, over allegations that he lied in documents to the Environmental Protection Agency (EPA) as part of his job with Suzuki, which included filing reports to the US government. The court filing, made with the US District Court for the Eastern District of Michigan on June 2nd, alleges that Wayne Powell, a Government Relations Analyst for Suzuki, violated Title 42 of the US Code § 7413 (c)(2)(A) when he knowingly made false statements in an application for a “certificate of conformity” that was required as part of the Clean Air Act. In those alleged false statements, the US government says that Powell altered production numbers by Suzuki for the 2012 model year, so that the company would not be over its allotment for allowed emissions. The issue stems around a complexity in how the EPA allows motorcycle manufacturers to group engine types together, using an average of the engine group’s emissions, in order to gauge compliance with the Clean Air Act. This allows manufacturers a bit of a shortcut when it comes to EPA compliance for the Clean Air Act, since each motorcycle isn’t certified by itself, but instead it is certified as a group, based on a group average that is weighted by number of models sold. Under this provision however, manufacturers are still required to submit an annual report on unit sales, so that compliance with the Clean Air Act can be assured when using this shortcut. 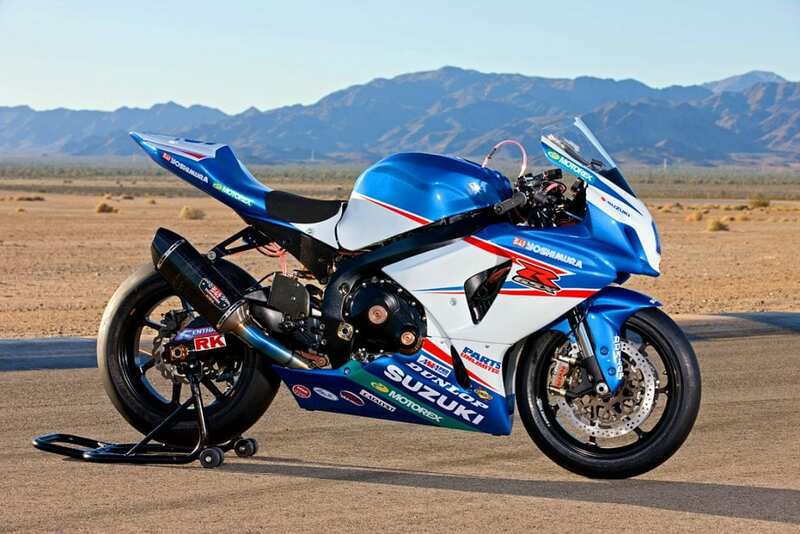 The US government alleges in its filing that Powell’s initial annual report for Suzuki stated that the Japanese manufacturer had sold more bikes than its averages accounted for, and thus was in excess of its emissions limits for four engine groups. Powell went on to state in his report that Suzuki would offset those emissions by using banked emission credits, thus the excess was still legal under the Clean Air Act. However, the EPA responded to Powell’s report by saying that Suzuki was not part of the emissions credit banking program, and thus didn’t have banked emission credits that it could use to offset its sales discrepancy. The US government goes on to say that Powell then filed an amendment to his initial annual report, alleging that there had been a computer software problem, and that the amended report had some corrected mistakes from the previous filing. As such, this amended report showed different production numbers for four engine groups from Suzuki, which brought the manufacturer’s annual total into compliance with the Clean Air Act. The government’s case centers around its belief that analyst Powell falsified the numbers in his amended report, with the initial report showing the actual production numbers for Suzuki in 2012.